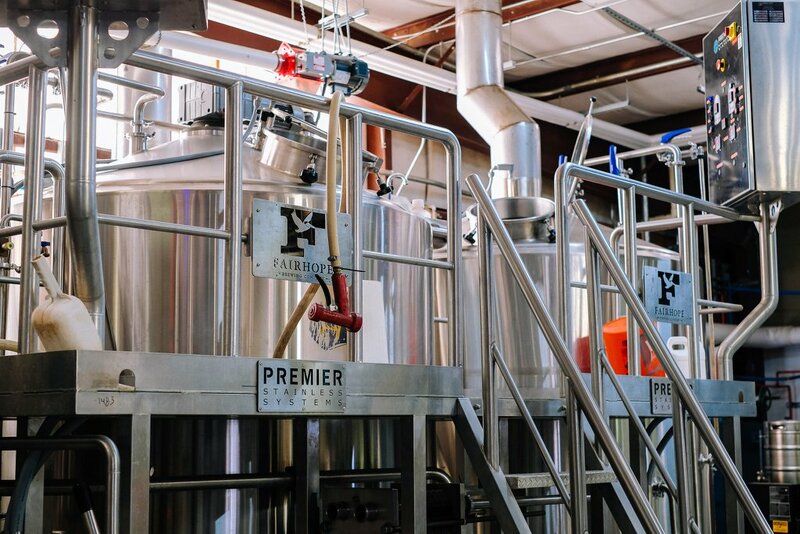 It started with a mutual love of beer and the same resounding question: Why isn't there a local craft brewery in Lower Alabama? We all asked it, and while others may sit around and bemoan the answer, we decided to do something about it. 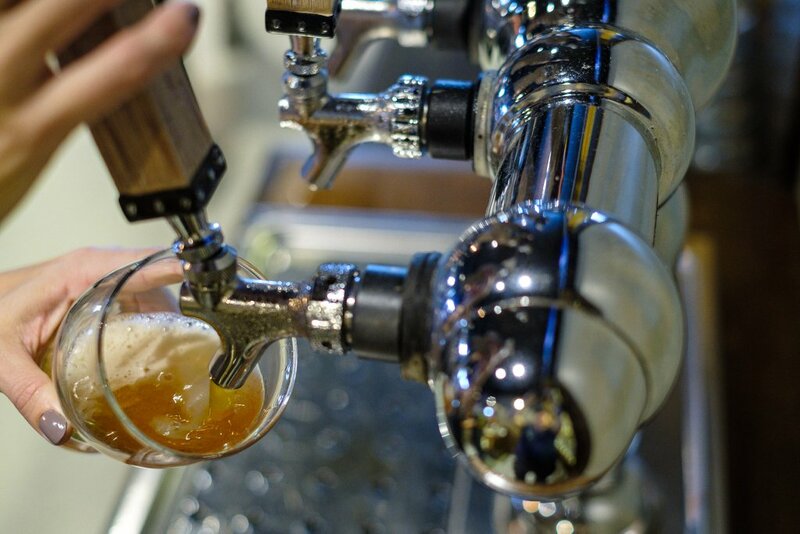 That was way back in the year 2012, and while we didn't know it at the time, that one question would lead to the adventure of a lifetime for a bunch craft beers lovers who were simply looking to slake the thirsts of beer lovers along the Gulf Coast. It was Michele Kane who had the idea while living in Alaska and warming the bar stools in the Alaskan Brewing Company taproom. It was her husband Brian who eagerly agreed. And after bringing on a local home brewer (Dan Murphy), a president of Free the Hops (Gabe Harris), and a law school buddy (Jim Foley), the journey began. 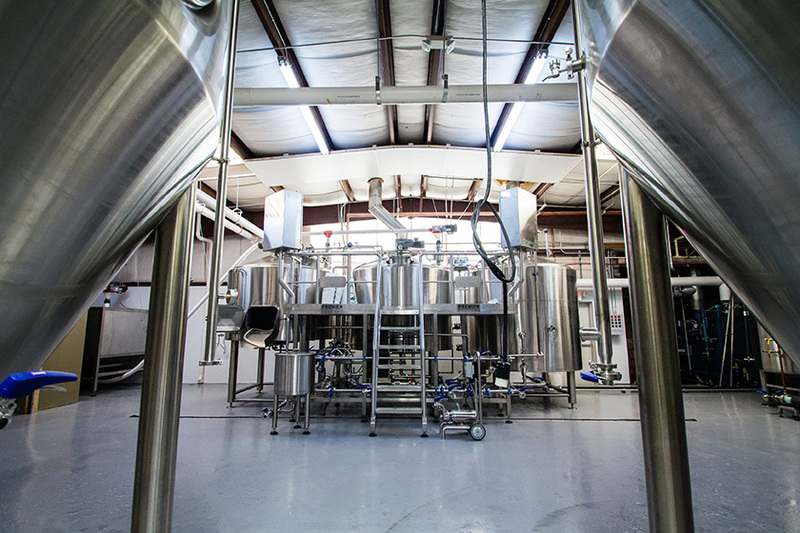 We did not know exactly what we were getting into, but we did know one thing: We were going to open Lower Alabama's first production craft brewery since prohibition. Our first batch of beer was brewed on Dec. 21, 2012, on what was supposed to be the end of the world according to the Mayans. If the world was going to end, then by God, we were going to have at least one batch of beer in a fermenter when it happened. What was supposed to be the end of the world was actually the start of a process that would bring a great amount of joy to the Gulf Coast of Alabama, and beyond. Fortunately for all of us, the world kept on spinning and our first batch of Everyday Ale kept on fermenting. 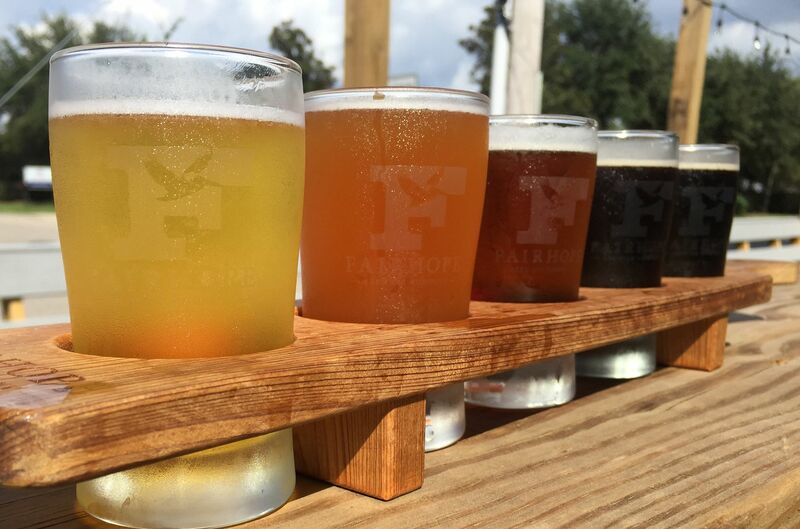 On Jan. 6, 2013, the Fairhope Brewing Company opened its doors to an eager public thirsty for locally crafted beer made with only the finest ingredients. What started as just two beers in the taproom – Everyday Ale and Section Street Wheat – has grown into a selection of six year-round offerings and many occasional brews (not to mentioned cider and wine). Currently, we keep 14 beers and a cider on tap at all times with a wide range of flavors to hit a variety of taste buds. Whether you like IPAs, stouts, ports, fruited beers, or crisp golden ale, we have you covered! 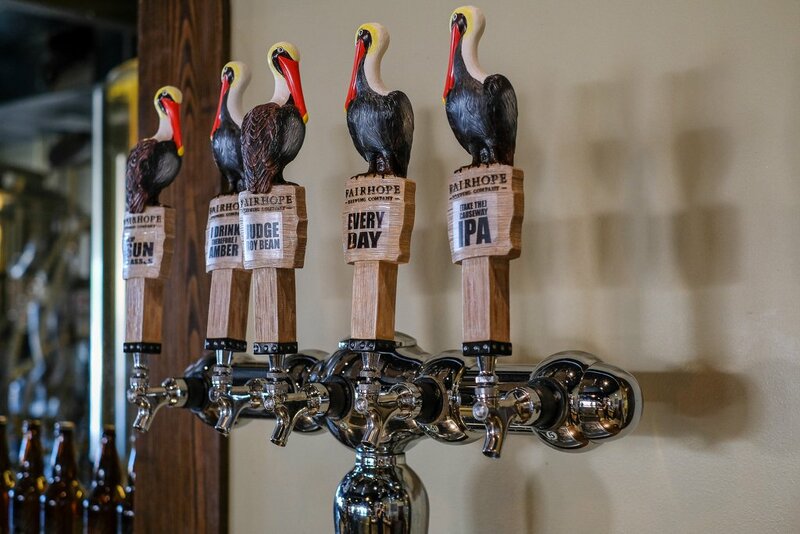 Currently you can find Fairhope Brewing beers are available on draft and in cans all over Baldwin County and Mobile County, as well as Birmingham, Tuscaloosa, Huntsville, Montgomery, Auburn, coastal Mississippi, and the Florida panhandle.